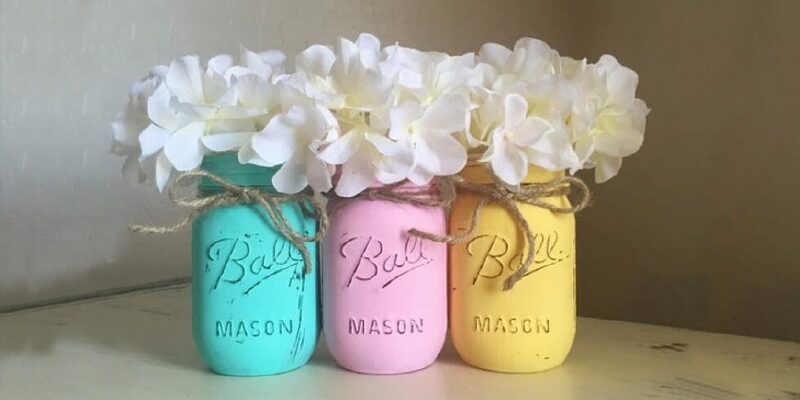 Spring is the perfect time of the year to add color to your living space! Here are five do-it-yourself projects we found on Pinterest that is fun for you and the whole family! 1 quart of Chalk Paint. 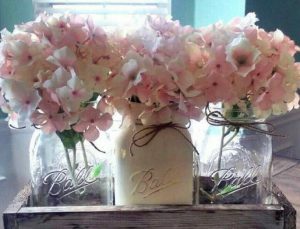 This fun, and slightly messy, project is a quick and easy way to give any room in your home a touch of color! Rust-Oleum offers an assortment of colors, but there are other brands, such as Amy Howard, available. A charming, colorful way to decorate your living space, this centerpiece is sure to bring a room together! Once your piece is put together, it’s time to select your favorite flowers! Daffodil, Tulip, or Pansy, you can’t go wrong. Are you looking to get the kids involved? Then this is the activity for you! Give the kids some control and let them pick out their favorite paper color and designs! Draw your outline on the paper and start cutting. 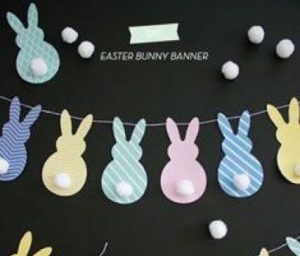 Once your bunnies are cut out, add a cotton ball tail as the final touch! Next, simply punch a hole at the top of the bunny and run string through it. The beauty lies in the simplicity when it comes to this spring look. Instead of coloring the vases themselves, we’re going to color the water! 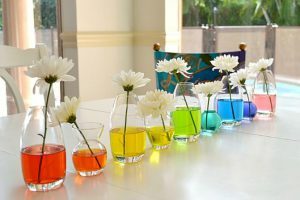 You control how bold or light the color is in each vase, creating a color scheme that is uniquely you! 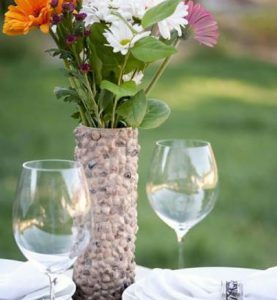 This do-it-yourself venture is one part recycling and one part playing with rocks. The result: a rustic masterpiece. First, find a Pringles can. (A full can is best, since you can pour them out and snack on them as you work!) Then, go to your local garden center and purchase a small bag of pebbles. Next, head to the hardware store and grab a can of Rust-Oleum Leak Seal. Spray the can with the leak seal and then place your pebbles! Allow a few hours for the can to dry and then enjoy!